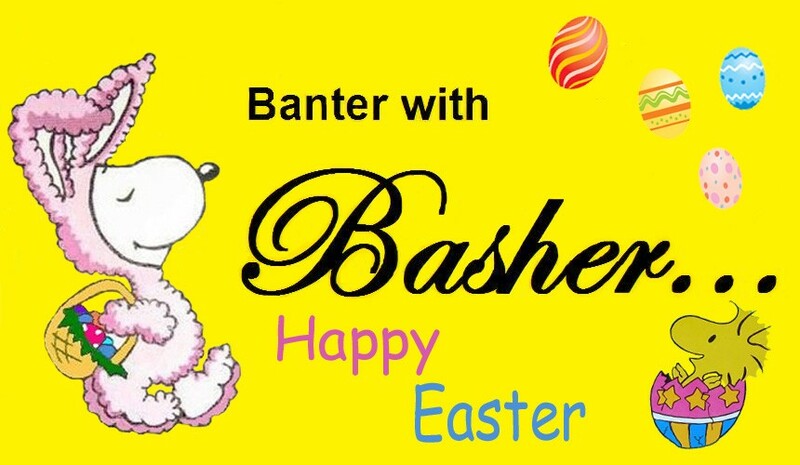 Banter w/ Basher » Politics » Soapbox » Free at last! free at last! thank God Almighty, we are free at last! Yup...today, we're (or should I say, 'they're') free at last!!! Now turn around so we can see those beauties smile!! sorry. momentary loss of control. What will happen if someone wore an 18 hour bra for 19 hours? It's like those dissolving stiches. After 18 hours and one minute, your bra begins to fall apart. You seem to know more about that than you should. I, um, looked it up on Wikipedia?? Your 'neighbor's wife'...doesn't she live with her husband? Wouldn't she be your neighbor too? Why not say, 'my neighbor told me'? And does your neighbor's wife's husband know you're talking about bras with his wife? Something tells me you're not being completely honest about that statement. This is the Basher you're talking to, remember????? I just had my wife take a look at this. After she was through laughing, she took her bra off! As hot as it is, it seemed like a very good idea! Wait one cotton pickin' minute...TODAY is NOT toss your bra away day! She's going to have to wait until next year, to remove it! She can wait if she wants. It's an 18 hour bra so it'll dissolve anyway! 16 Re: Free at last! free at last! thank God Almighty, we are free at last!